Just drag-and-drop and click to edit, no HTML editing required. Complex multi-page surveys can be created and deployed in a few minutes. The desktop-like interface makes the all experience fast and fun. Edit and change your survey anytime, even after it has started receiving data. Accept uploaded files from your respondents. We store the files and you can download/view them at anytime. Easily add and remove pages from your surveys. Split your survey into categories and improve response rates. Your respondents can leave the survey and resume later where they left off. You never loose any data, and the partial data is available to you. Your surveys and forms are automatically protected from SPAM. 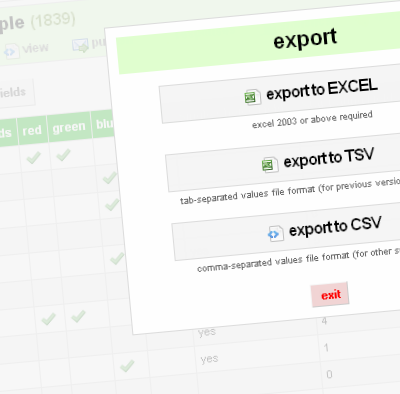 Easily create multiple versions of your survey in different languages. You can create and receive responses in any language. We automatically select the most appropriate language for your respondents. You can completely customize your survey appearence. 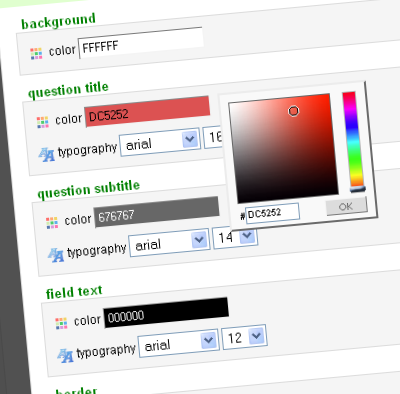 Change the colors, fonts and sizes of your survey elements. Add your own company/personal logo to your surveys. You can upload images to your survey and associate them with any question. Create a custom introduction and final page. You can also redirect your respondents to another website on completion. Each survey gets it's own custom and easily remembered URL. 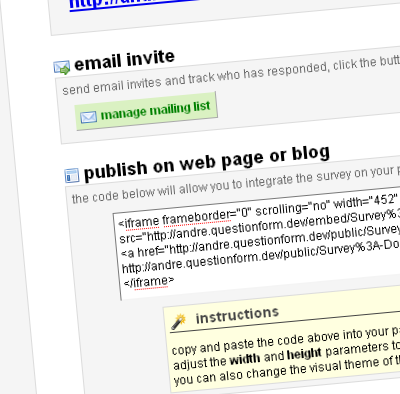 Seamlessly integrate your survey with your webpage or blog. You just need to copy and paste a short HTML code snippet. You can send email invites and track who has responded. Avoid repeated responses by limiting entries with cookies or IP Address. 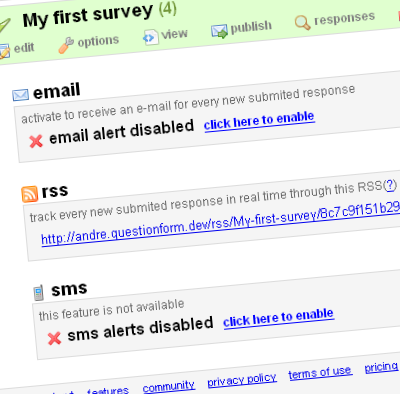 Get access to your survey's response statistics in real time. Easily print or share the statistics generated. Use our HTTP API and we call your script when a new response is received. The data you collect is yours, we never delete it and you always have access to it. You can completely delete your survey data (and your account) at any time.